A center of affluence and sophistication since the 1950s, Buckhead is Metro Atlanta’s most luxurious neighborhood. Located 5 miles north of Atlanta’s Midtown business district, Buckhead maintains a sterling reputation as the ATL’s most prestigious neighborhood. Let’s take a closer look at how this affluent uptown district lets you live in the lap of luxury in Metro Atlanta. Buckhead Is Atlanta’s Third Largest Business District. 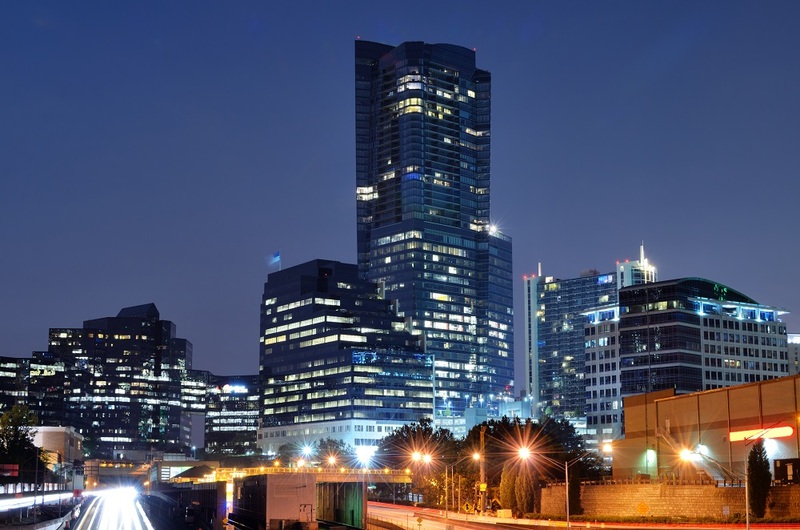 Behind only Downtown and Midtown, Buckhead is the third busiest financial and commercial hub in Atlanta. High-income professionals from around the United States and all over the world are drawn here, keeping the demand for grand mansions and luxury condos high. Buckhead’s close proximity to the world’s busiest airport, the Hartsfield-Jackson Atlanta International Airport, also works to its advantage. In addition to accommodating the jet-setting professional lifestyle of its residents, it also opens doors for plenty of new businesses to fuel the region’s economy. Buckhead Boasts Its Own Hub of Luxury Hotels. Adding to Buckhead’s irresistible charm among visiting entrepreneurs and other prominent guests is the district’s impressive roster of first-class hotels. From Hilton to Marriott, to Hyatt, to the Intercontinental, all the big names in the hotel and resort industry have a place here in Buckhead. Buckhead’s Luxury Retail District Makes It the “Beverly Hills of the East”. Lenox Square. Phipps Plaza. The Shops Around Lenox. Buckhead Atlanta. All these names are synonymous with the most elegant and most opulent shopping experience in the Southeast. Designer-label stores and boutiques are a fixture along the eastern border of the Buckhead community. Since 1994 this bistro has racked up awards and accolades for bringing the authentic flavor of Provence to the heart of Buckhead. Its location is a converted house, adding to its distinct charm and ambiance that makes its casual French menu even more enjoyable. Arguably the best steakhouse in Atlanta, Bones has been pleasing palates since 1979. The restaurant is a favorite among the district’s business professionals, who typically reserve private rooms for meetings and events and even request personalized menus to suit their group’s fine dining preferences. A relatively newer addition to Buckhead’s first-rate dining stops, Restaurant Eugene opened its doors in 2004. Since then it has impressed with its artisanal takes on the definitive dishes and meals of the region. The restaurant also emphasizes the importance of local sourcing, ensuring farm-to-table freshness in every meal served. If you are considering buying Buckhead, Atlanta luxury homes for sale, reach out to Natalie Gregory for trusted real estate services and local insights. Call her today at 404-550-5113 or inquire via email at Natalie(dotted)Gregory(at)Compass(dotted)com>.